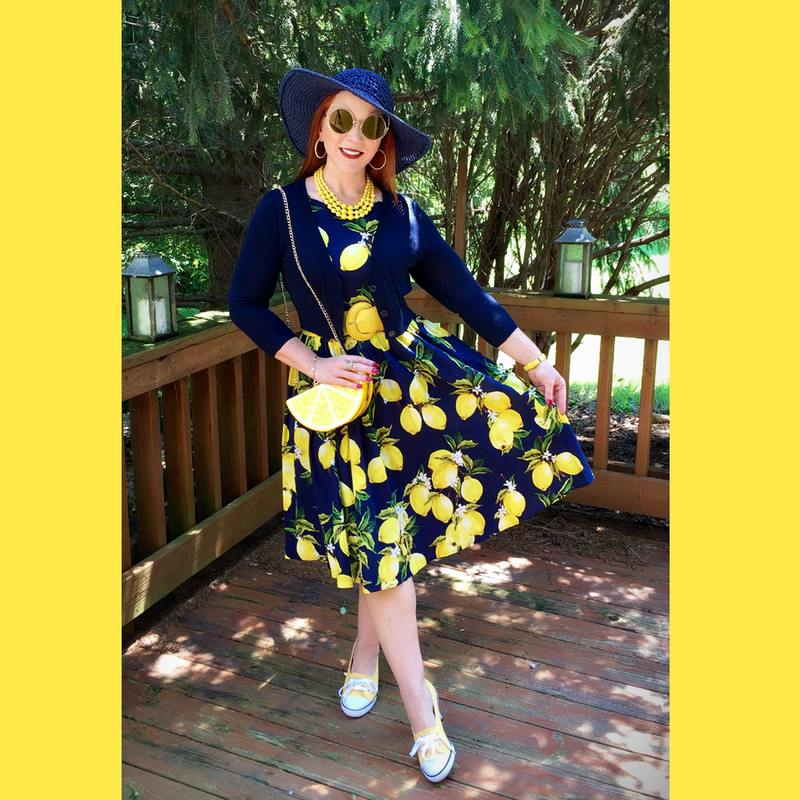 When life gives you lemons... Yeah, I'm just not feeling a blog post based on an ancient cliche about optimism in the face of adversity at the moment. My yellow "Chuck's Sisters" Converse All-Stars have been my Summer obsession. They're hard to find, but I scored these, new in the box, on eBay. 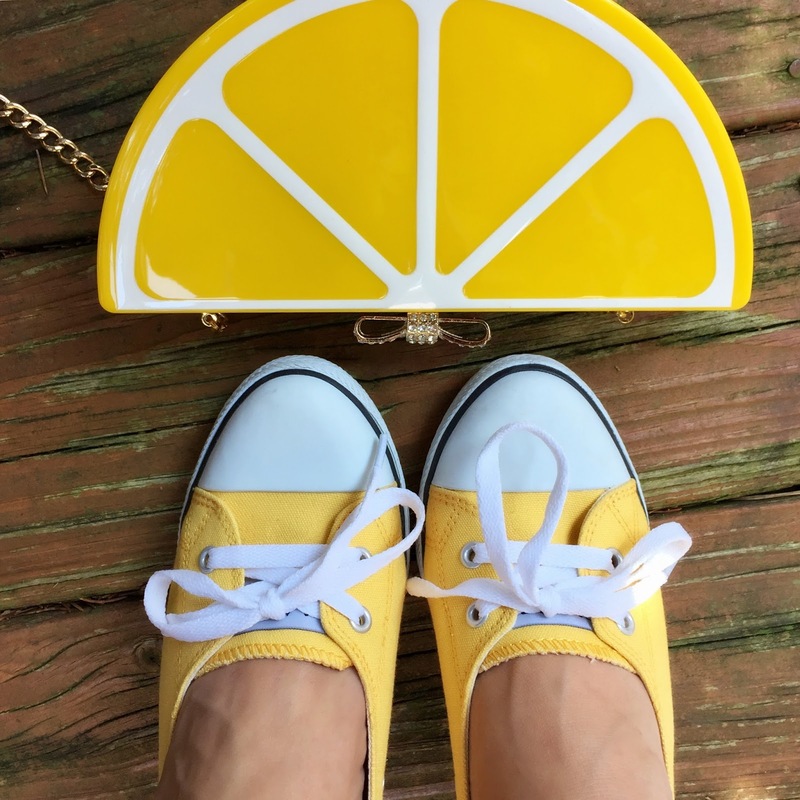 They're a prefect complement to a lemon clutch from Amazon. Yet, I can't really throw on this lemon-print sundress without the trite refrain running through my head. 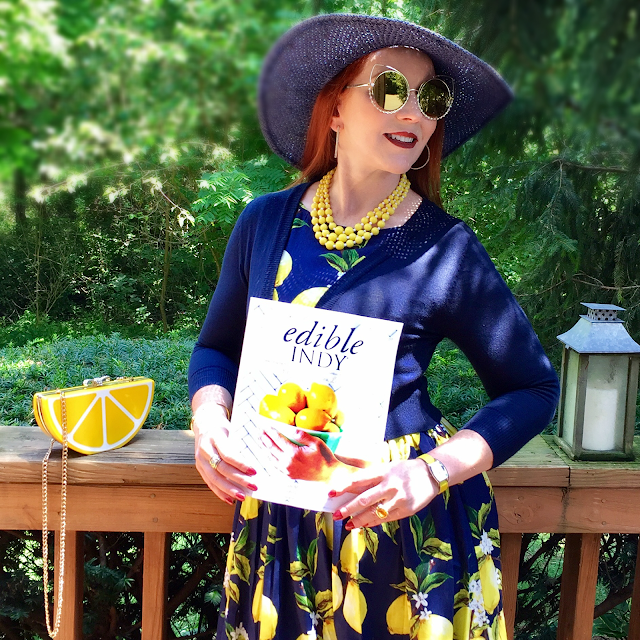 Yellow accessories (watch band; citrine David Yurman ring; and vintage bead necklace) bring light and life to a quirky lemon print dress. 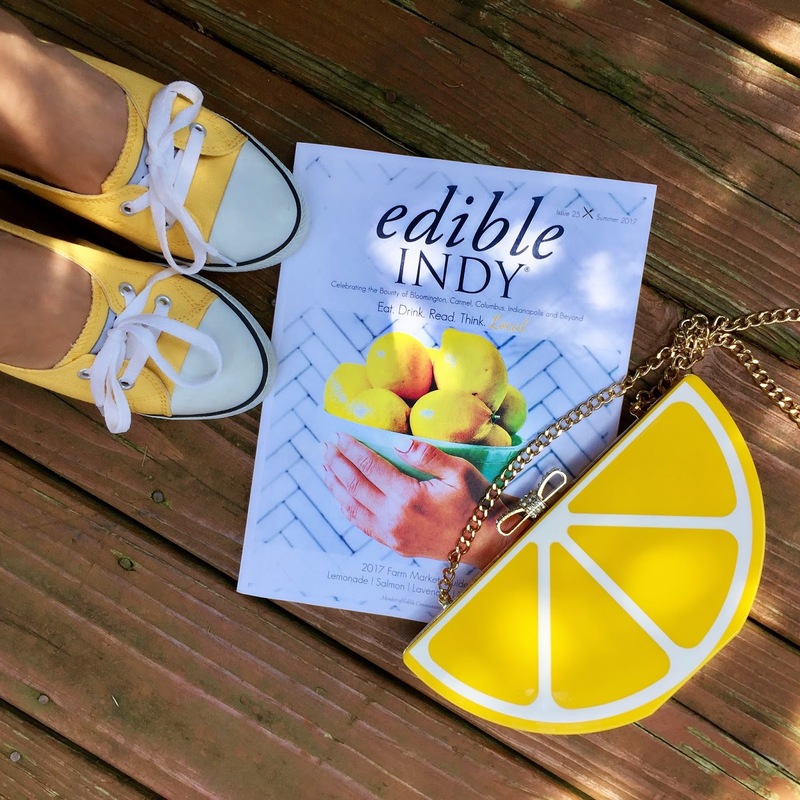 Old saws aside, if you actually have a bounty of lemons and you actually want to make lemonade, check out the latest issue of Indianapolis publication Edible Indy for a new twist on the Summer standby (several new twists, in fact). 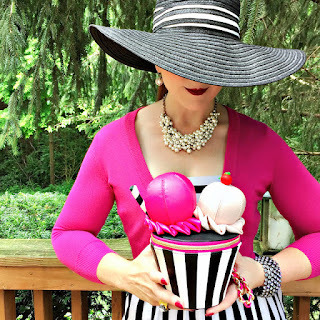 A navy cardigan from ModCloth is the meringue topping on an ensemble that's more sweet than sour. 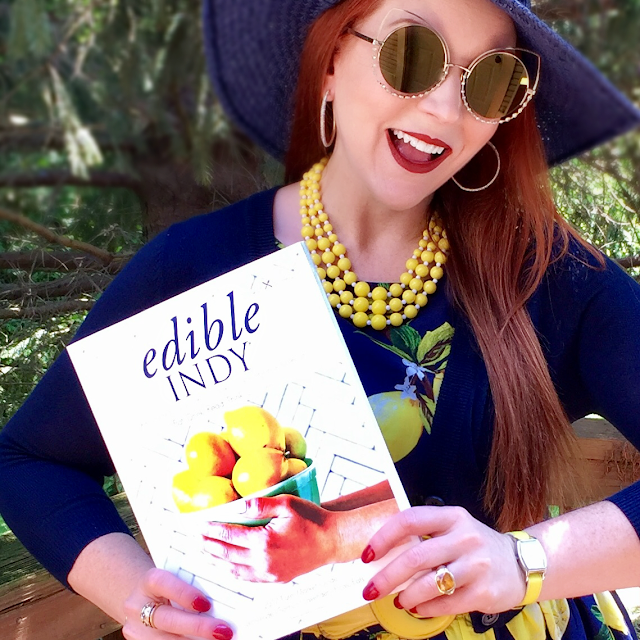 Edible Indy is my go to guide for the scoop on Indy fare from farmer's markets to restaurants. 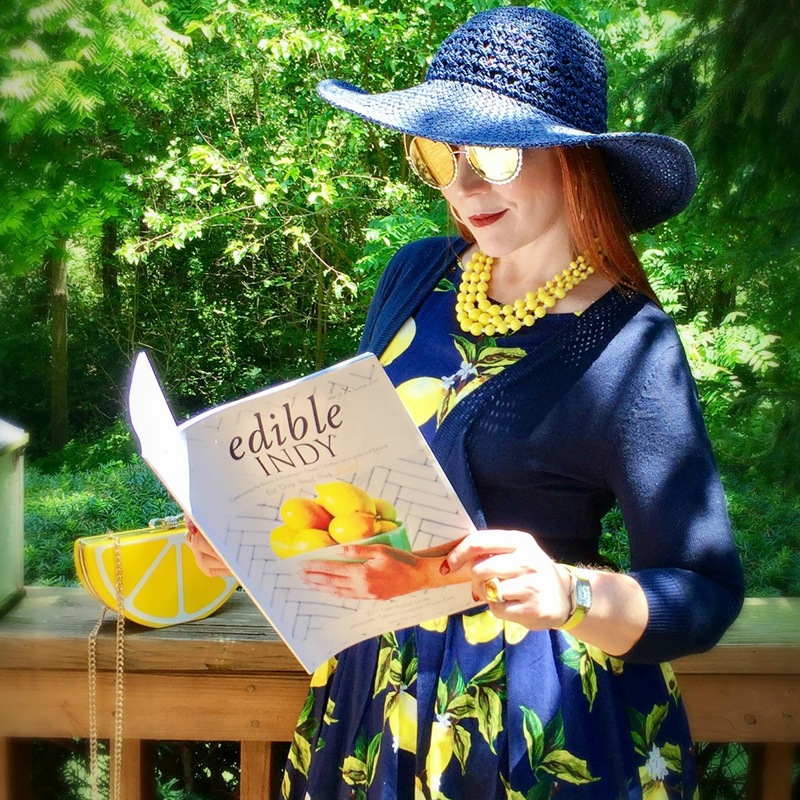 It's also packed with easy to follow recipes using locally sourced ingredients. I'm such a fan that I have the quarterly mag delivered to my home, but if you live in the Circle City, you can pick up your own copy at several locations around town. You can also check it out online! 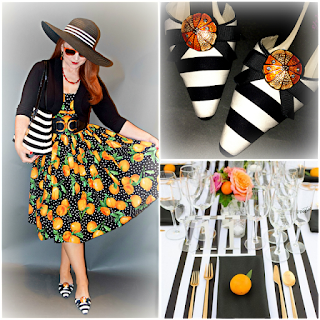 As for those lemons, I'm using them in my own unconventional way...to add "zest" to my wardrobe!